Are Methadone Maintenance Clinics Necessary for Treating Opiate Addiction? Does Methadone Treatment Help People with Lortab Addiction? Why Bother with Therapy & Support Groups When Methadone Treatment Works Just Fine by Itself? Does Methadone Maintenance Cause Side Effects? How Long Will I Need Methadone Treatment? I Relapsed on Methadone- Now what? Are Free Methadone Clinics too Good to Be True? 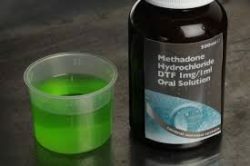 Home › Methadone Maintenance Treatment Resources › Are Methadone Maintenance Clinics Necessary for Treating Opiate Addiction? Many recovering opiate addicts visit methadone maintenance clinics as part of their rehabilitation. Often users of heroin, oxycontin, or other recreational drugs, these individuals find methadone maintenance centers very useful in their longterm recovery. The Substance Abuse and Mental Health Services Administration reports that “the number of clients receiving methadone [in these facilities…] increased from about 227,000 in 2003 to 306,000 in 2011.” But are methadone maintenance clinics necessary for treating someone with opiate addiction? Methadone administered by health professionals to a specific dosage is very helpful to a person looking to curb their desire for opiates while not experiencing side effects or highs. In the right dosage, it can be taken once a day. Though methadone is not the only treatment for opiate addiction, it is one of the most common ones. Even though these treatments have been practiced since the 1960s, many still argue that methadone clinics are replacing one addiction with another. But this is due to a misunderstanding of the nature of addiction. According to the CDC, these critics do not see drug addiction for what it is: “a biomedical condition.” Environmental stresses have a large amount of sway over an individual’s behavior, and the treatment received at a methadone clinic is very important to recovery. Methadone clinics also often provide their patients with assigned councilors, therapy (both individual and group), and the aid needed for longterm commitments to their recovery. Many facilities have mandatory urinalysis tests in order to ensure that the patient is using his or her treatment correctly, and they recognize that the person’s recovery is not quick or easy but a longterm process. As stated by the CDC, “studies of methadone effectiveness have shown a dose-response relationship, with higher doses more effective in reducing heroin use, helping patients stay in treatment, and reducing criminal activity.” It is also true for many individuals that the longer they stay in treatment, the less likely they are to experience a relapse. These trends show how effective methadone treatment can be for someone even months or years after completing rehab. Not everyone goes to a methadone clinic for opiate addiction, and some individuals may even come to a point where they can take the medication home and administer it themselves. But for many recovering from heroin or other opiate addictions, methadone clinics are longterm necessities that help them in their day-to-day lives. It is always best to consider the individual person and what most benefits him or her.